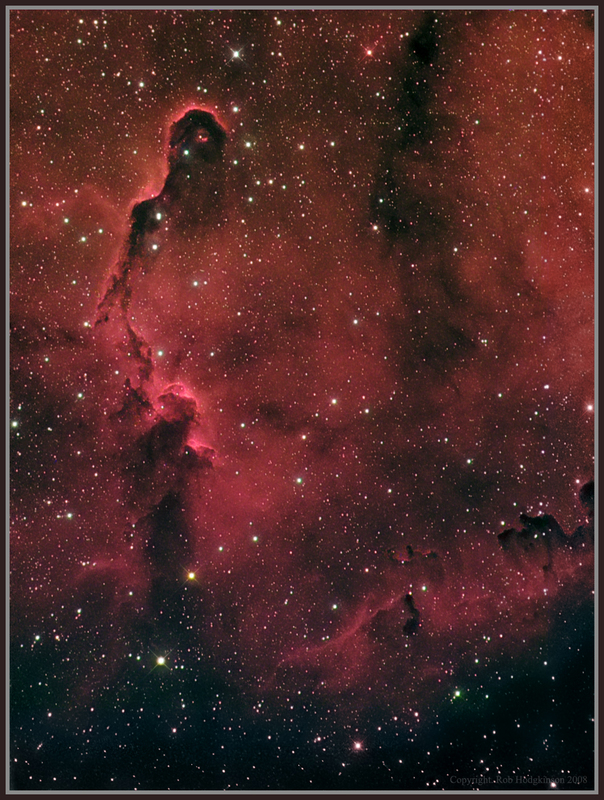 The 'Elephants Trunk': Part of IC 1396. In this orientation, it does rather look like a gigantic one eyed old man, beard and all!! This took a while in the processing stage, as I was a bit lax at aligning the scope for my different subs. This meant that the Hb and OIII images were quite heavily cropped. I liked the overall framing of the region in the Ha image though, so have rebuilt the cropped areas....you can still see the join, but only just! Ha was used as both luminance and red. OIII was green and H beta, blue.